Steve Gordon, Regional Group’s president and CEO, and Dave Wallace, Regional Group’s chief operating officer, at the Greystone Village Sales Centre. When the Guess Who released their hit song Share the Land in 1970, they were likely unaware that another group 2,100 km farther to the east was already making a name for itself as an innovative leader in the collaborative use of Canadian lands — Regional Group of Ottawa. It was known as Regional Realty at the time, but the small company that real-estate entrepreneur Len Potechin founded in 1958 has grown into a multidisciplinary real-estate platform with more than $3 billion worth of gross development value in its pipeline of commercial, mixed-use and residential projects. At the root of its outstanding success is the company’s steadfast adherence to a set of values, championed by president and CEO Steve Gordon, that has reset the industry bar for what responsible land development can look like. When it comes to the integrity of service and balance in all things connected to land management, industry players and homebuyers alike now recognize Regional Group as the name they can trust to handle their commercial, residential and industrial property development needs in the greater Ottawa-Gatineau area. The company’s special talent for anticipating the needs of future demographics and collaborating with stakeholders to turn vision into reality places Regional in a league all its own. For 60 years Regional has been building relationships within communities and local governments and working with the best strategic partners available to create the “wholistic” master-planned development projects that modern municipalities and investors want to buy into. Regional Group is passionate about its stewardship role in developing livable, sustainable urban communities that fit naturally within the local landscape, respectful of the unique histories of the existing communities. About 80 percent of the company’s land development activity today involves their residential homebuilding division, eQ Homes. Regional’s chief operating officer Dave Wallace says the company has worked hard to position itself as an industry leader by standing up full-service teams dedicated to Land Development, Investment, Tax & Valuation, Property Management, Commercial Leasing, Project Management and Community Building. What makes Regional such an effective multidisciplinary real-estate platform, he says, is that these teams are themselves able to collaborate so easily with one another. All of the bases are covered. 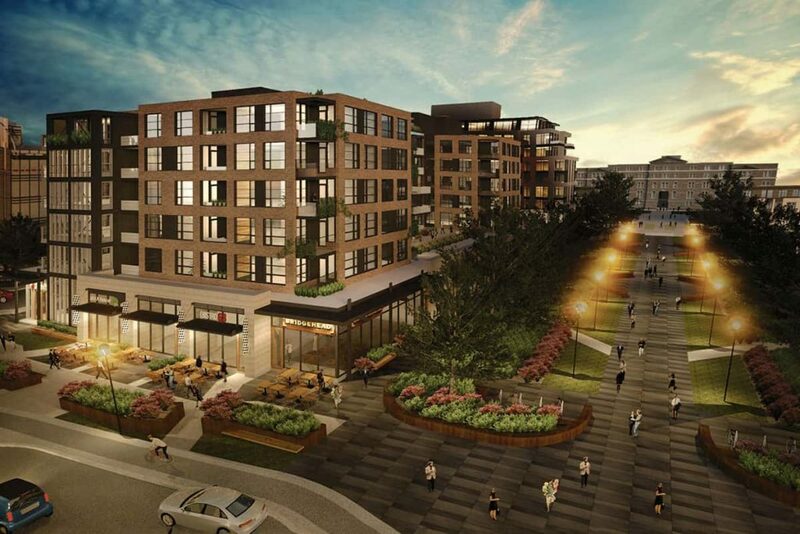 Artist’s rendition of mixed-use buildings at the entrance to Greystone Village in Old Ottawa East. Harley Wallin, Sales Manager, eQ Homes at the Greystone Village Sales Centre. For more info on Greystone Village, click here. No one at Regional has any appetite for creating subdivision silos. 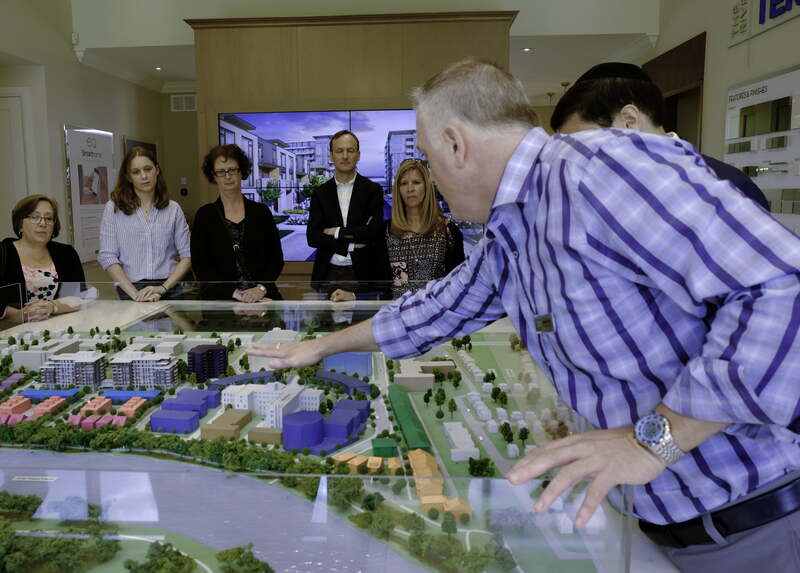 Where this forward-looking company is concerned, it’s all about making interesting places for people to live and work — places like Greystone Village in Old Ottawa East, and the 170-acre Citigate Business Park in Barrhaven — development projects that are changing the very nature of what communities might think are achievable. Regional employs a talented team of seasoned land developers — a number of whom have significant municipal planning experience — backed by a strong cadre of talented and highly motivated young professionals who represent the next generation of leadership. Together, they offer stakeholders at all levels the extraordinary insight that makes Regional so successful when it comes to interpreting the demographics and navigating the processes that are so critical to effective land development planning in the capital region. One of the company’s veteran developers is Regional Group’s vice-president of land development, David Kardish. A nephew of the company’s founder, Kardish has been with Regional for more than three decades and holds a master’s degree in planning from Queen’s University. Back in 1987, the same year the Guess Who was being inducted into the Canadian Music Hall of Fame, Kardish left his job of 13 years as a senior urban planner with the Regional Municipality of Ottawa-Carleton to set up the dedicated land development arm he now leads at Regional Group. His extensive experience with municipal land plan approvals was just what the company needed to entrench land assembly in the growing portfolio of services now directed by CEO Steve Gordon’s visionary leadership. Whether the vision calls for a half-acre lot for a stand of townhouses or a 200-acre industrial parcel, Kardish says that Regional’s land-development team has the expertise it needs to manage every aspect of acquisition, planning, entitlement, servicing, and disposition to ensure a successful outcome. It’s not a job for the faint-hearted, he says, as there can be significant financial risk in simply tying up a piece of land with an eye toward developing it. 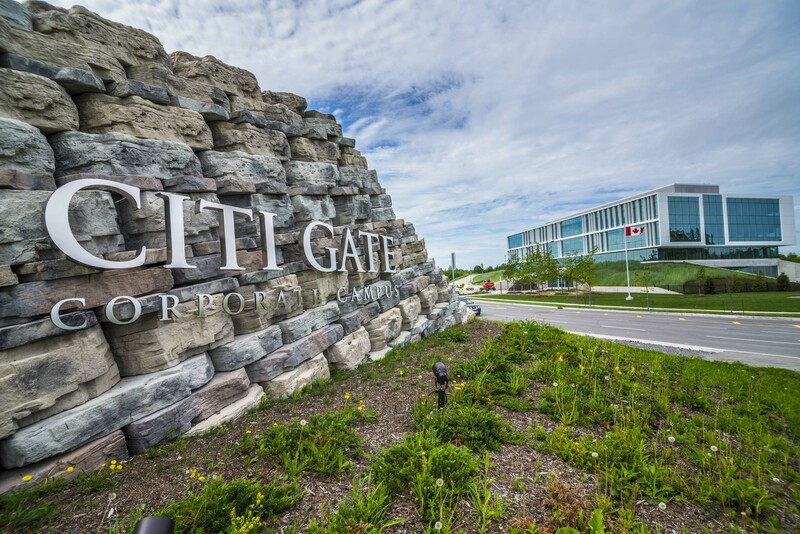 The entrance of Citigate Business Park in Barrhaven, which has been described as the “complete package” when it comes to what a self-contained business park should be. An aerial view of Citigate Business Park showing all components – retail core, auto mall, dedicated corporate campus and hotel site. Citigate Business Park Site Plan. For more on Citigate, click here. Getting site approval can sometimes be tricky. When Regional was faced with mitigating the removal of a number of protected butternut trees, the company sought a more elegant solution than simply planting butternut seedlings elsewhere. What they offered to the Ministry of Natural Resources in lieu was quite extraordinary: A brand new greenhouse to support the Eastern Ontario Butternut Recovery Program, and money to train a new person in “archiving” healthy butternuts. Doing things right is what makes Regional’s land development projects so hugely successful. In a crowded industry arena so often characterized by fractious relations, Regional Group continues to chart innovative new pathways in responsible, sustainable design through a responsive program of in-house team cooperation, and through a highly collaborative approach with strategic partnerships and stakeholder consultations during planning. It’s the ultimate in creating “everybody wins” scenarios. How well this translates into bricks and mortar construction can be best exemplified by two of Regional’s most innovative and unique development projects — Greystone Village and Citigate Business Park, both of which are resetting the benchmarks for success in responsible, 21st-century land development. 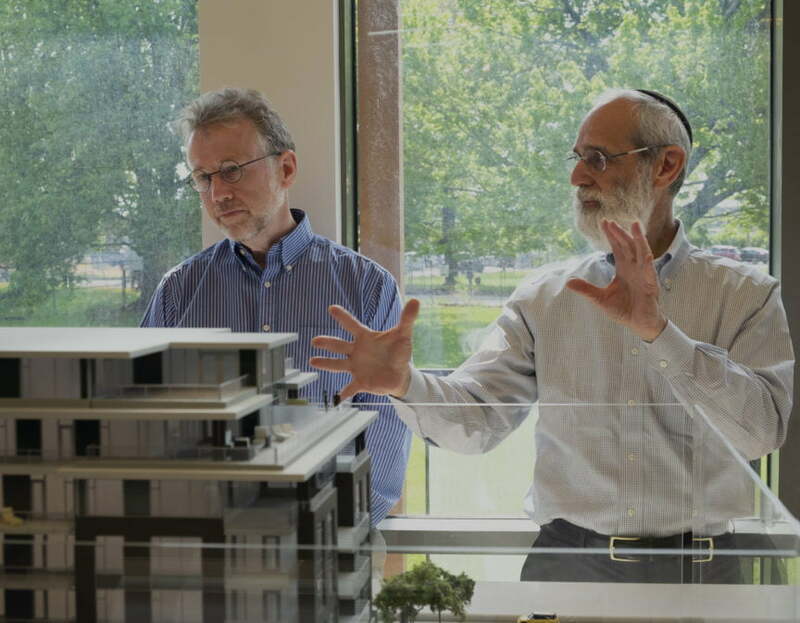 Greystone is the imaginative 26-acre urban infill community being developed along Rideau riverfront on property acquired from the Oblates of Mary Immaculate in 2014. Regional’s visionary proposal for a master-planned development of 950 homes supported by the highest possible standards ever seen in Canada’s capital region for smart-grid energy, water-use efficiency and responsible lifetime consideration of factors affecting human health and the environment was daring to say the least. But as it turns out, this was well within Regional’s capabilities. Moreover, Greystone Village has just become certified as the only USGBC LEED ND v4 neighbourhood development in all of Ontario — one of just three certified at this level in Canada, and one of only eight so distinguished across all of North America. Normally, the land acquisition and plan approval process alone for a project like Greystone would take two years or more to complete, but Regional’s proactive, collaborative approach to community building was rewarded by having everything secured, approved and entitled in less than a year — an almost unheard of achievement in today’s municipal regulatory environment. A success story like this is hardly a one-off in Regional’s playbook these days. 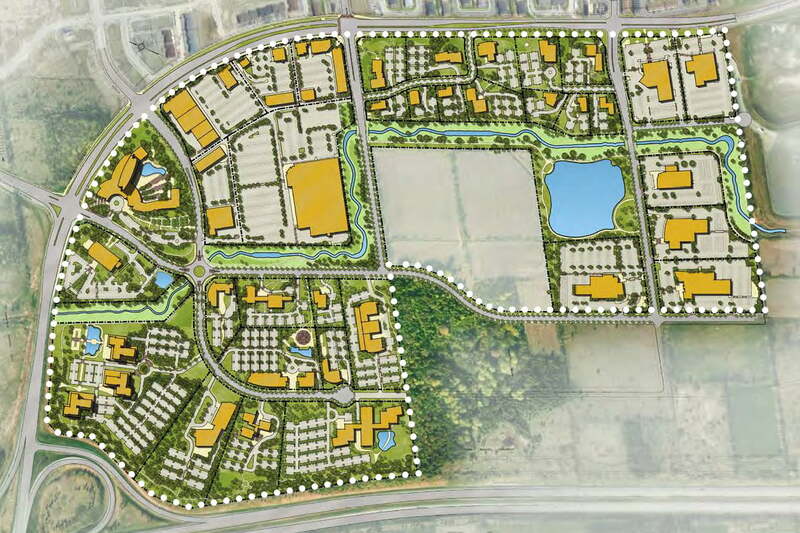 The booming Citigate development, the closest fully serviced business park to Ottawa’s Macdonald-Cartier International Airport, is nestled into a prime area of maintained creek habitat and walking trails adjacent to Hwy 416 — Ottawa’s fast-track south to the Hwy 401 corridor between Toronto and Montreal. The site is just minutes away from both the Hwy 417 interchange that leads to downtown Ottawa and the Via Rail link at Fallowfield Station. Citigate has been described as the “complete package” when it comes to what a self-contained business park should be. The project incorporates a vibrant retail core, a dedicated corporate campus, a major hotel, and an auto mall that will ensure a steady flow of visitor traffic. It’s the type of smart acquisition for smart development that COO Dave Wallace says speaks to Regional’s focus on looking ahead to land development projects that will benefit the community at large. Regional might not have a crystal ball, Wallace says, but one thing is certain as the company counts the days to its official 60th-anniversary date in August. With solid leadership at their head and a new generation of bright developers collaborating on the day-to-day business of the company, Regional Group will be here to “share the land” long into the future.